Greg stares up at the sky as the fire crackles. He exhales. Glancing back at the dancing light, he realizes he’ll need to find three or four more logs to keep the heat going. The job of building the fire is never completely done. As he gets up to chop a few more thick branches for kindle, Greg smiles to himself. The hardest work is done, now he gets to just add to it. With each swing of the ax, the stress of the previous week oozes out of his back. Not only that, but on the walk back to the campfire, Greg even starts to get new ideas for the project he’s designing. 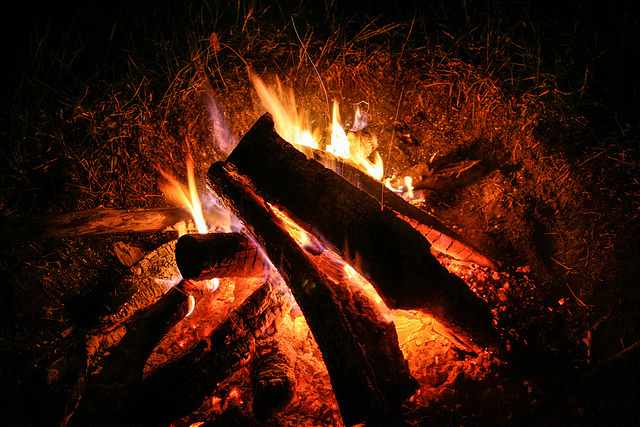 Taking the long road plays out in the adventure of building a fire: it forces us to move our bodies, which super-charges our creative minds. Current research in experimental psychology suggests that physical movement directly influences the brain’s ability to process information and problem solve. It turns out, we’re not just brains on stilt-legs walking about, we are embodied. All of our processes are interconnected. Never is that more clear than in the creative process. That is why one of our core values at Radar is to favor walking meetings over sitting meetings. 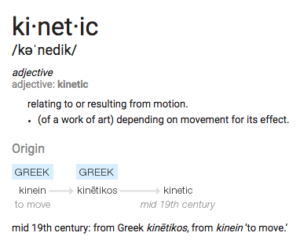 Harnessing kinetic energy leads to “a-ha!” moments in the creative process. You can’t make a fire without movement – this kinetic energy creates space for your mind to kick into high gear. At Radar, we love when this moment happens — when the body and mind coalesce toward a breakthrough idea for our clients. The Camping Creative is the fourth of a multi-part blog series, tying together the tent-pegs of camping and creativity. Read the first post here.